The #1 Bestseller in Travel/Sacramento category on Amazon.com. As featured in: Sactown Magazine, Good Day Sacramento, Inside Publications, and Submerge Magazine. Are you in Sacamento? Shop local! The book is available in Sacramento at Underground Books, Avid Reader Broadway, Avid Reader Davis, Beers Books, Barnes & Noble, Crocker Art Museum Shop, DISPLAY: California, Old Gold, Art Beast, Effie Yeaw Nature Center, Puddles Children Shoppe, Timeless Thrills, Steamers in Old Sac, etc. 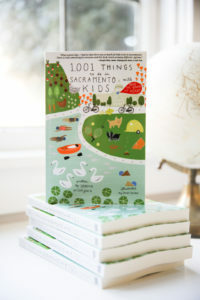 If you are a stockist and want to carry our book, give us a holler at hello@sactownkids.com. Thank You!